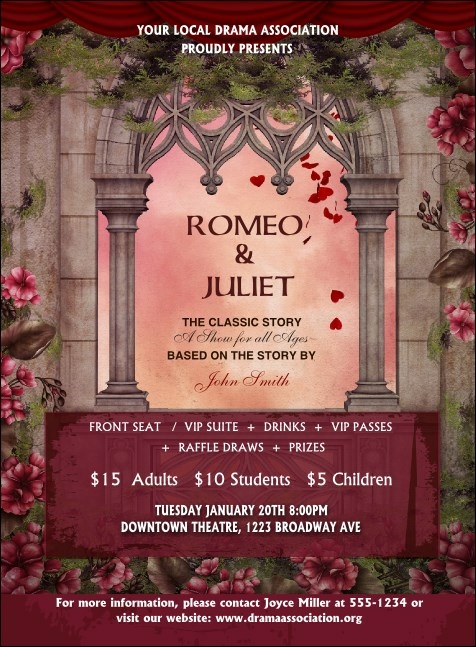 Invite star-crossed lovers and theatre lovers alike with the stunning Romeo and Juliet Invitation. Printed on high quality card stock, this classic design features romantic pink and red tones surrounded by flowers. Fill in sixteen lines of your event information in the template below to start!